Mountain Dew and Activision have teamed up to bring specially marked Mountain Dew products to Call of Duty: Modern Warfare 3 gamers. 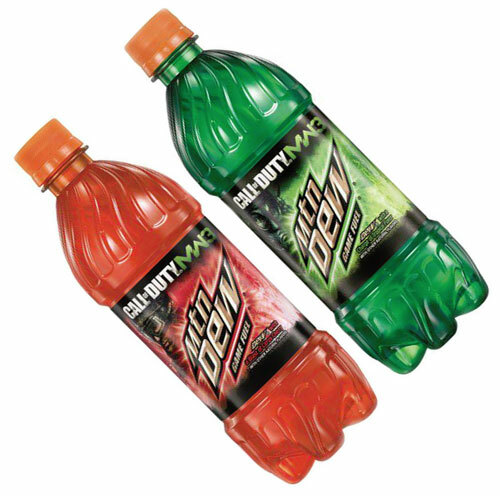 The MW3 themed Mountain Dew's will start shipping during October and will include codes that can be used by MW3 fans to unlock Double XP for a limited time. The soft drinks come in two flavors, the original citrus cherry flavor and a brand new tropical flavor that was created in collaboration with the Call of Duty team.